Dermaneedling stretchmarks - what exactly do I need? Dermaroller + TCA 5 weeks apart? Dermaroller and hair on skin - infection problem? dermaroller or dermastamp for scars? 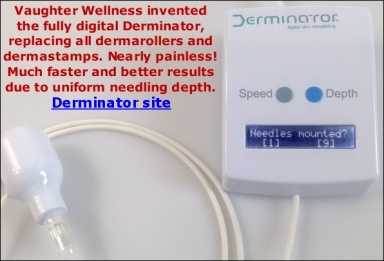 Dermarollerus.com trying to scare you away from "homerolling"